Do you belong around here? What is your dedication and covenant? Can there be peace in Unity? Three innovative things caught my attention this week at the Annual Congress of the International New Thought Alliance. I think you will enjoy each of the things I am about to share with you. They are innovative in what they convey, they are professionally produced and they are fun to absorb. But, more important, they are creations of people on a mission. They are products of our fellow collaborators in New Thought. The people who invested years of their life in creating these products and services have enriched our culture and consciousness. Get out your credit card because there is something in here for you. How much does your church talk about attracting kids? Take a peek in your bookstore and ask yourself if there is anything in there of interest to a YOU-er. I bet there isn’t much. How come? Where are the graphic novels for Unity and New Thought? Why would kids come into our bookstore when most everything in there was written by a boomer for a boomer? Here’s what you can do right now. 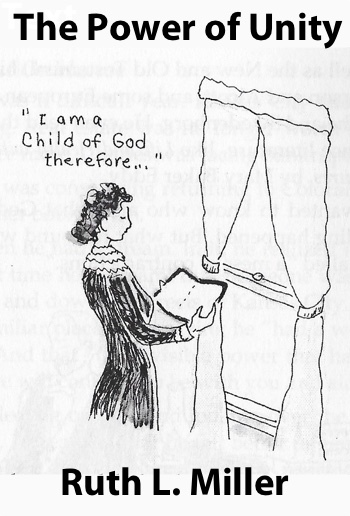 Go to Wise Woman Press and order any of the books written by Ruth L. Miller and illustrated by Martha Shonkwiler. These are fun books to read and the illustrations pull you into the story. You will find a book on Charles and Myrtle, Emilie Cady, Emma Curtis Hopkins, Ralph Waldo Emerson and many others. I love these books. Buy a set today and then ask you bookstore to stock them by calling Rev Michael at 800.603-3005. My only suggestion for Rev. Michael and Wise Woman Press is to hire a professional to do the book covers. The graphic I am showing above is an example of the warm, inviting illustrations one will find inside these books. But the actual covers of the books don't convey that the book is for teens. Regardless, these are the only books on the market I've found for the YOU kids we want so much in our congregations. Do you know anyone who has lost their job or who has a broken marriage relationship? If so, then you will enjoy Jon Miller’s new release As A Man Thinketh. This movie is a drama, with real actors, playing out a well-written script about real life problems. The story Jon tells in this movie is how a guy who at the end of his rope finds hope in James Allen’s classic New Thought Book. Does that story sound familiar? You can watch it on Amazon Prime Video, Vimeo On Demand or you can buy the DVD on the Miller Media website. Let me share with you why I believe this movie will go mainstream. I first read As A Man Thinketh sometime in the early 1980s in a Bible bookstore in Shreveport, Louisiana. Right in the heart of America's most fundamentalist city, there on the shelf in a Bible bookstore was As A Man Thinketh. 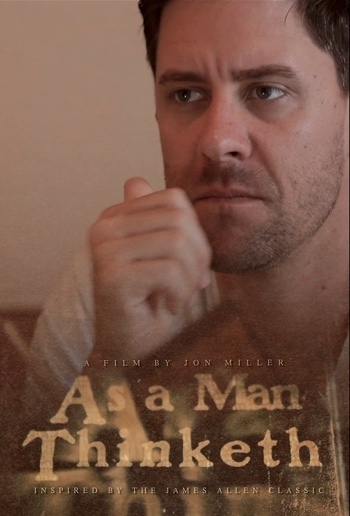 I forgot to ask Jon why he selected As A Man Thinketh and I forgot to ask him why he had chosen to do his first dramatic movie with actors. But he got the right book and he did a great job with the script and directing. This movie will draw many into our churches. There is the History Channel, The Oprah Channel, the Home Improvement Channel and a zillion other channels. 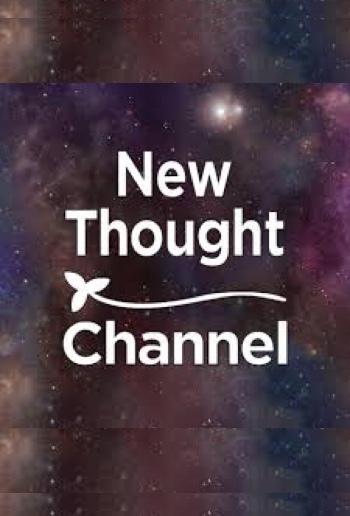 There is now a New Thought Channel, packed with quality video of interest to New Thought people. Jim Lefter and Paula Langguth Ryan have created a platform for streaming a wide array of New Thought content. A few years ago I was at South By Southwest in Austin, listening to Michal Eisner (Disney) and Mark Cuban discuss how video on the Internet is quickly overtaking the television market. What they didn’t foresee is that it may also be overtaking the Sunday morning service market. It is possible that we may look back 10-20 years from now and note that Jim and Paula’s platform was the first instance of a stay-at-home New Thought broadcasting network that truly worked. I imagine that many who read this will be concerned. We don’t want people staying at home, we want them in church, right? Yes, we do want them in church, but if they’re going to consume any media at all then don’t we want them consuming New Thought media? The fact is that whenever people are inspired by the message of spiritual media, they then ask “where is the church?” People who consume New Thought media at home will eventually seek a New Thought church. The task for Jim and Paula, as well as for me at TruthUnity, is how we connect consumers of our media to ministers who can help them grow spiritually. When someone looks to the Internet for help in overcoming a spiritual problem, and finds a promising answer and is then connected to a minister who can really help them — then we will have done what Charles and Myrtle Fillmore did so many years ago with a process of publishing and prayer — then the spiritual seeker will have become a spiritual finder and we will witness the birth of a new channel, not for New Thought, but rather for Spirit, a new channel for Spirit to do it’s perfect work in our lives and in our world.